Avon invites you to explore our unique environment of empowerment and inspiration. As an Avon Associate, you'll be part of a team of change-makers who know how to get things done. You'll have opportunities to stretch your abilities, work alongside a team of passionate and talented people and pursue your personal vision of success. And you'll be proud to be part of a beauty products company with a purpose: to empower and transform the lives of women everywhere. Take a look around - and discover for yourself the beauty and inspiration of a career with Avon! Above all, the work you do here at Avon will have a positive impact on milions of lives... including your own. 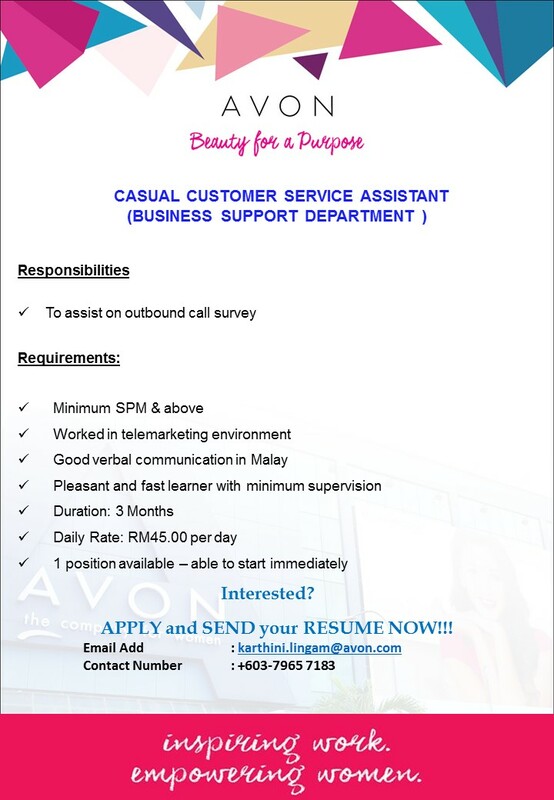 Build an exciting career at Avon by submiting your resume today!